The announcement last week that astronomers detected gravitational waves for the first time was exciting for the entire field, but no more so than for the LISA Pathfinder team. This ESA spacecraft was launched last December and will test functions in space to determine if we have the technology to detect even larger gravitational waves in space. LISA Pathfinder reached its L1 destination on January 22, and on February 16, released two gold-platinum cubes. Right now, the mission team is waiting for any residual forces, such as minute electrostatic charges, to dwindle, eventually leaving the cubes in pure freefall. 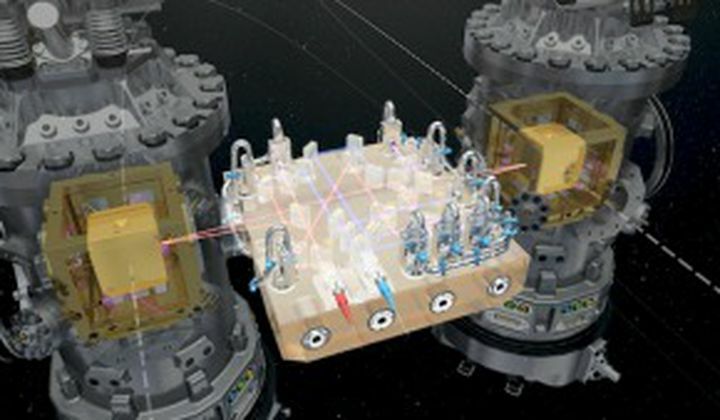 On March 1, the science mission will begin, and the spacecraft will try to detect any gravitational waves by measuring if the distance between the cubes changes using a laser. If the technique works, that will hopefully greenlight the eLISA mission, which would detect much larger gravitational waves than observatories on Earth by measuring the tiny distance-changes between three spacecraft more than 620,000 miles apart.